Day 0: Give it a try! 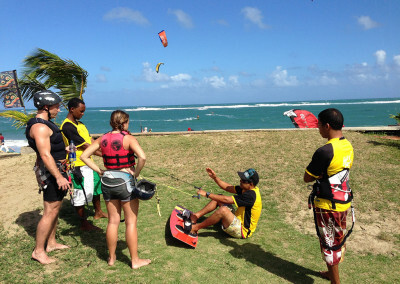 This important 1st step is the fastest and safest way to develop solid kite skills while learning about the wind, power zones, safety, and kiteboarding equipment. This lesson is conducted on the beach and mostly hands-on. 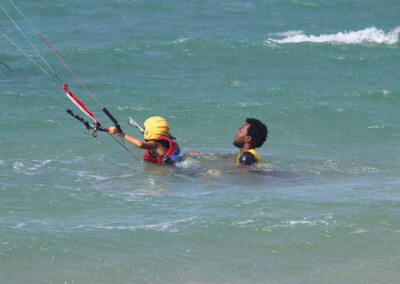 Once you’ve established your understanding of the wind and solid kite control, you are ready for the water. Time to get wet! 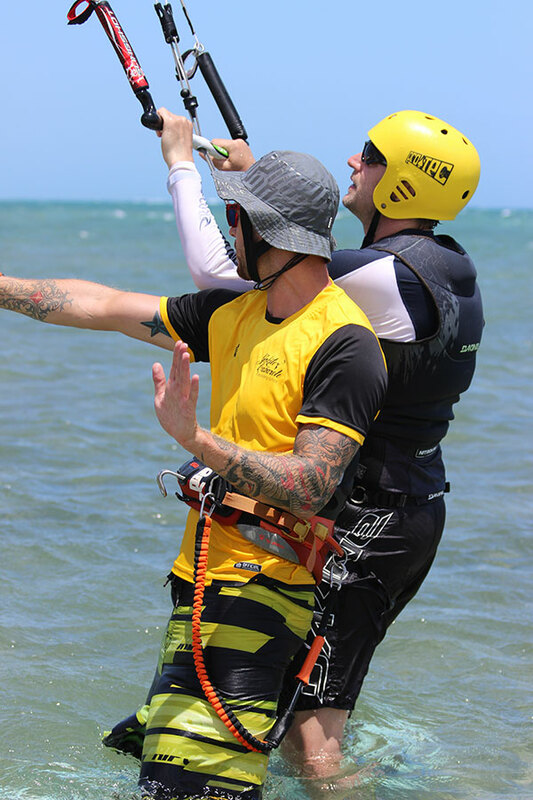 From the safety of the water, you will learn powered body drags, how to re-launch your kite, and self-rescue techniques. 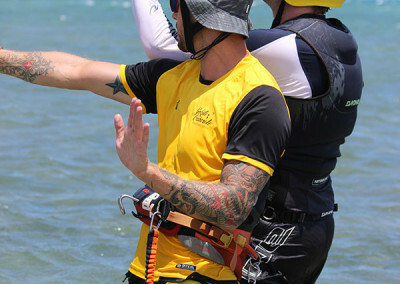 Your goal is safe confident control in the water. 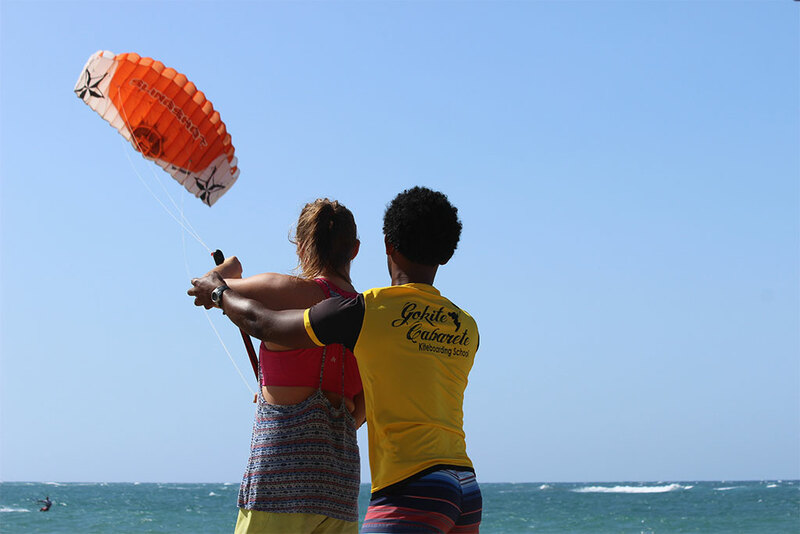 We’ll start you behind your instructor so you learn what to do, then with their supervision from behind you, and finally you will do solo runs downwind across the bay, safely supervised, of course. 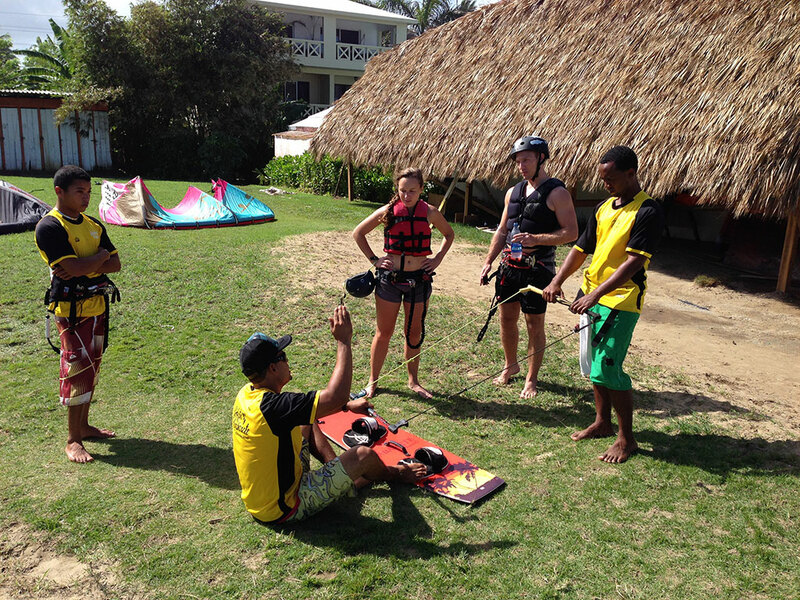 Day 3: Become a Board Rider! 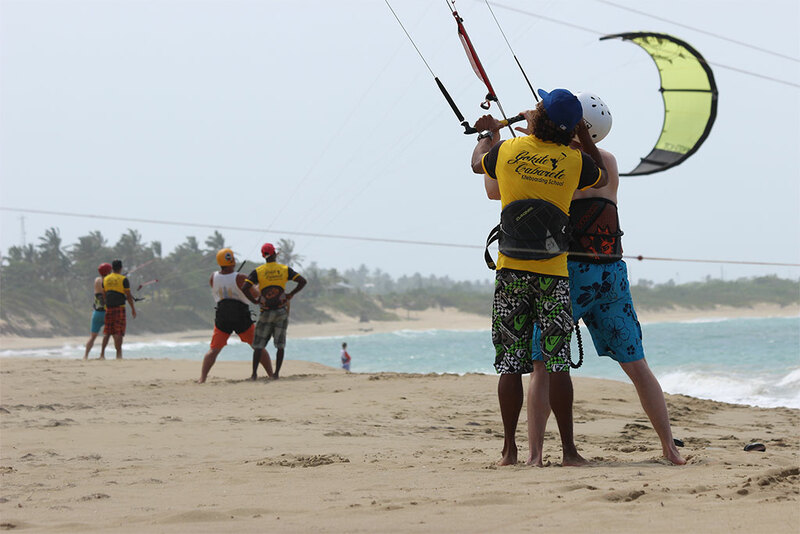 This is what you’ve been waiting for — getting on the board! This lesson is designed to take all the skills you have previously acquired and — by adding board skills — have you kiteboarding safely and successfully on your own. 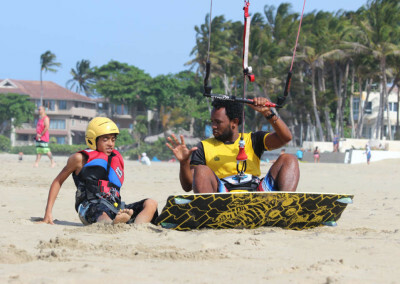 Your instructor will assess out your boarding skills, and explain how to get a feel for riding on the edge of the board and gaining proper tension in your lines. There is nothing quite like the feeling of your first ride, when it all comes together! This is where you get to practice your mad new skills! 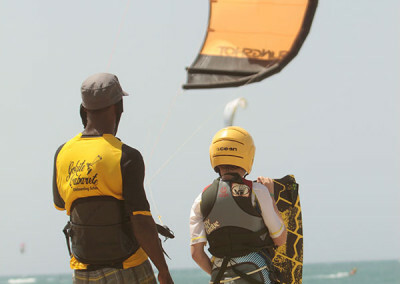 Go solo — from kite and gear set-up to standing up on the board — all under the watchful eye of your attentive instructor. 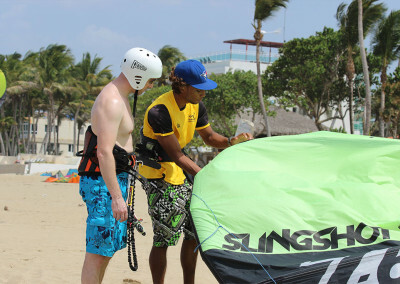 Receive feedback during and after the class, and improve your kiteboarding faster. 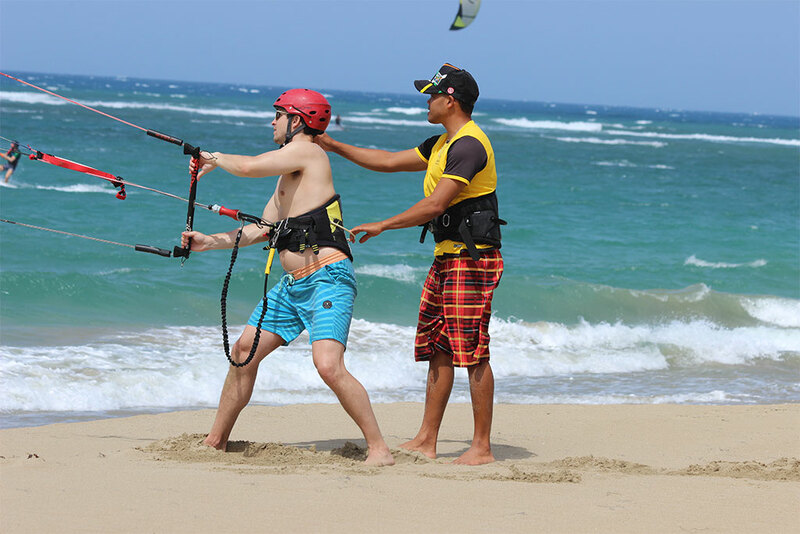 The assistance will ensure your safety, help you launch, land and transfer kite. Extra hours of instruction may be necessary depending on the purchased package. 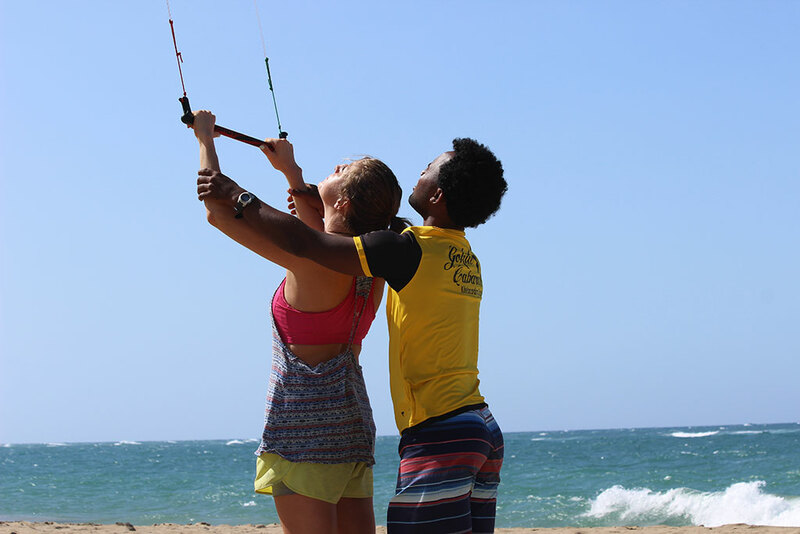 Click the button below to book your lessons! If you have any questions, concerns, or special requests, don’t forget to mention them in the booking form. What's the difference between private and semi-private class? 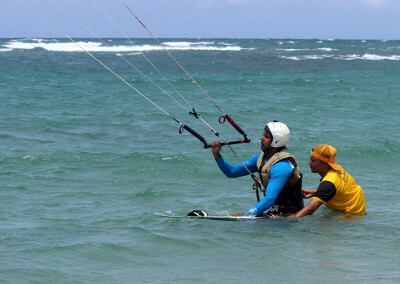 The private class is done one-on-one, while semi-private could have multiple students, with one supervisor per max 2 students. Each student has their gear. 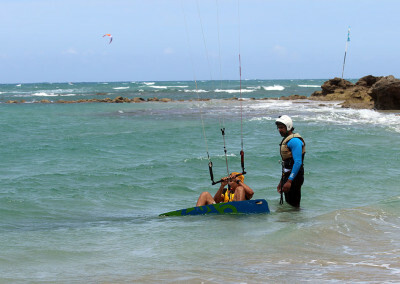 How is the weather in Cabarete during the year? 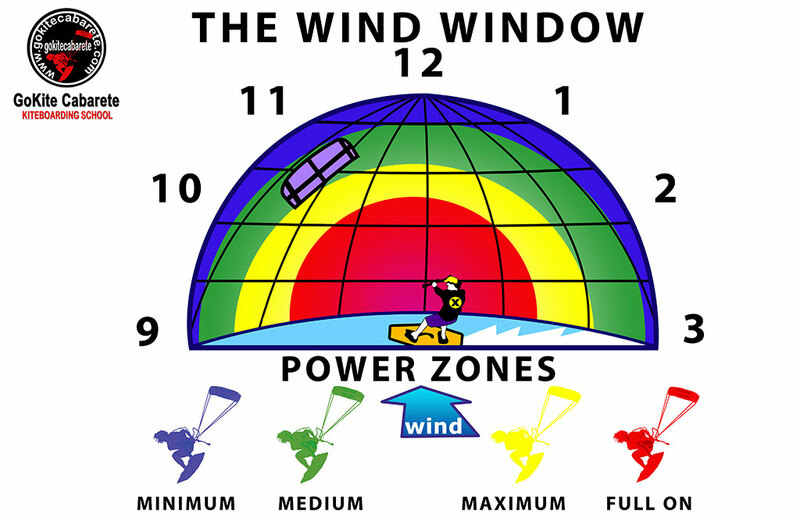 The best months are June to middle of September (94% chance of favorable wind). 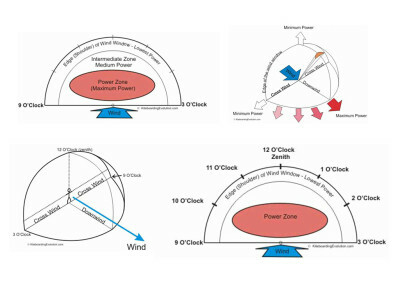 The wind is least reliable in October and November, while December to May have almost perfect conditions, sometimes influenced by the hurricane season. 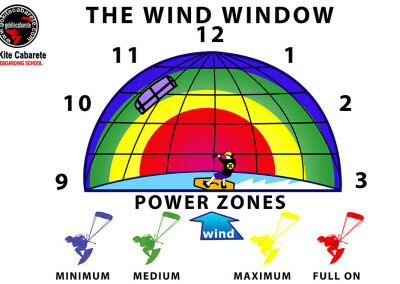 Below are the last year’s monthly wind stats (NAM12) — we don’t know how is it going to be this year, but so far, so good! Click the image for current stats or check our Weather section for more info on current weather conditions. Can i check it out first? Yes! 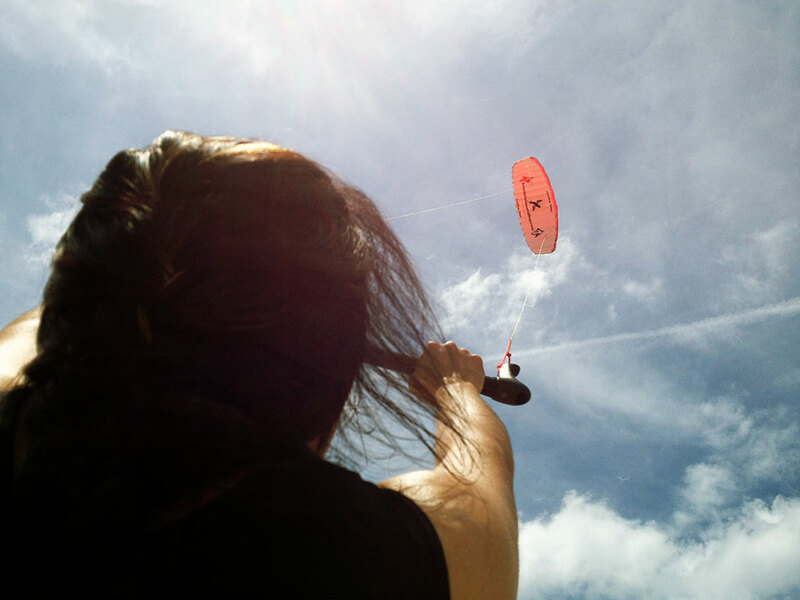 You can give it a try with our training kite, it’s $10/session — or, if you end up signing up for a kiteboarding package, it’s included in the price. 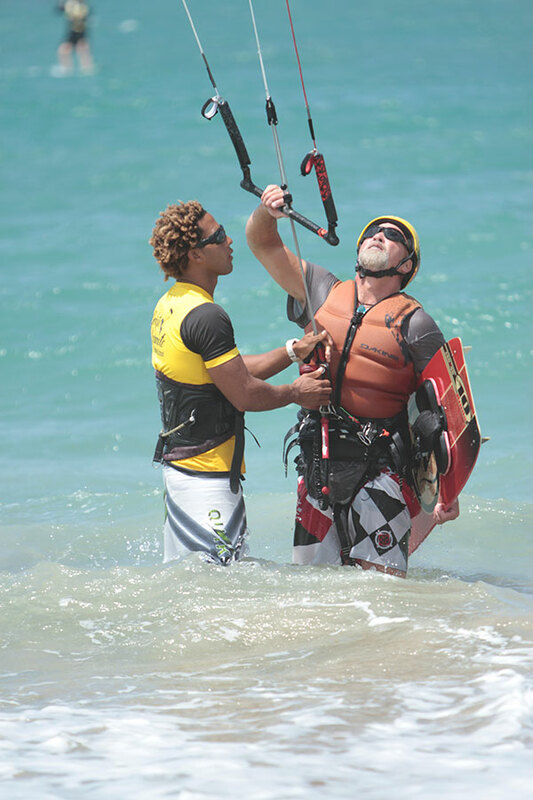 Is there an age-limit to learning kiteboarding? 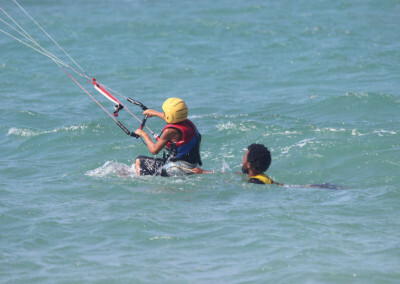 You should be at least 7 years old; for the ages of up to 9, it will depend a lot on child’s weight. 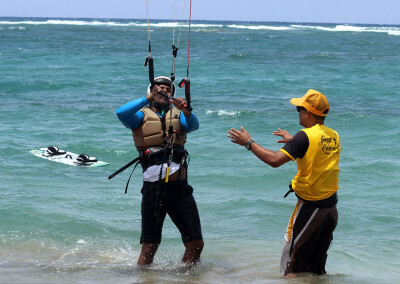 For the ages 10-70, it will only depend on individual fitness. The easiest, fastest, and safest way is to pay on-line via PayPal (you can use your credit/debit card, your bank account, or PayPal balance to pay). We also accept cash payments in U.S. Dollars, Euro, and Dominican Pesos. 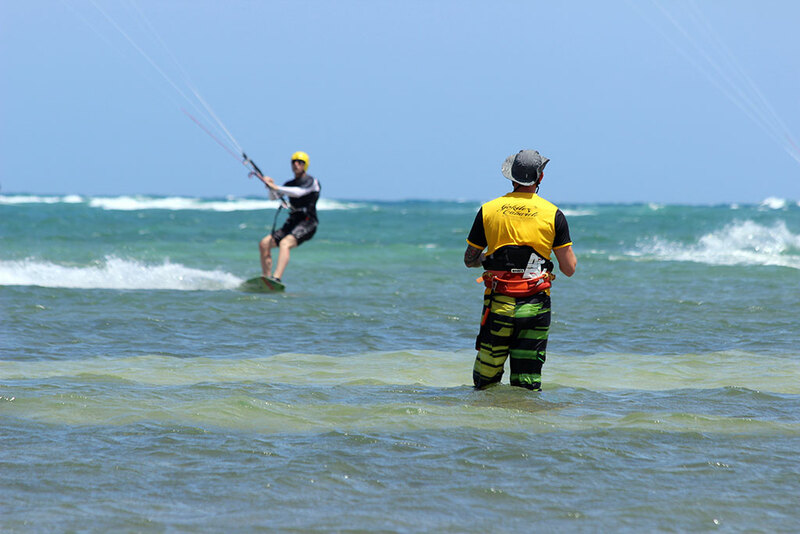 Everybody is different when it comes to kiteboarding; a lot of skills can carry over from other sports (such as surfing, sailing, wakeboarding) and give advantage over someone who hasn’t ever done a board sport in their life. But as a rough guide, the longer kiteboarding courses are the best place to start. They range from few days to a coupole weeks. 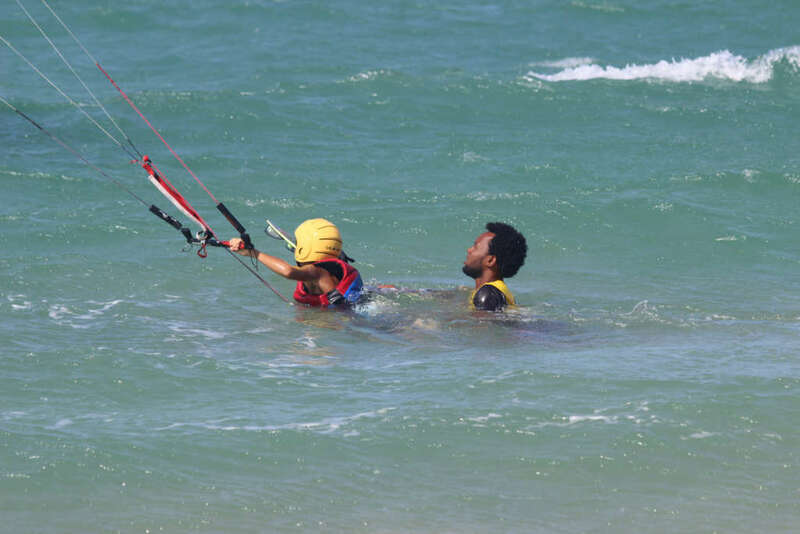 After the lesson phase, you’d start the self-training phase, where you’d practice what you had learned, get some water time — this is also when you learn to kite both down- and up-wind. 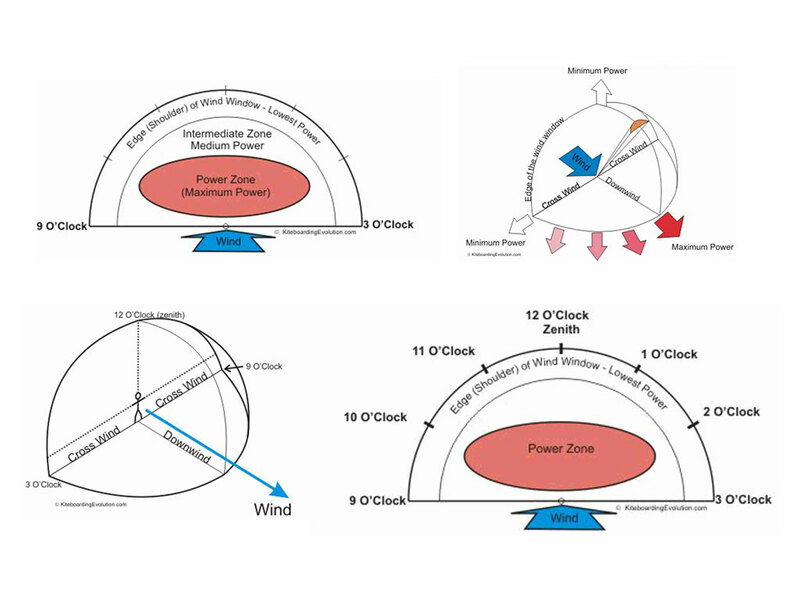 This process often takes a month or 10-20 sessions. Don’t be too fixated or worried about how long it takes, because you do not want to rush the learning phase; plus, you’ll be having fun anyway, so just make sure you give yourself as much time and patience as you need. Why would I rent a Radio-Helmet? 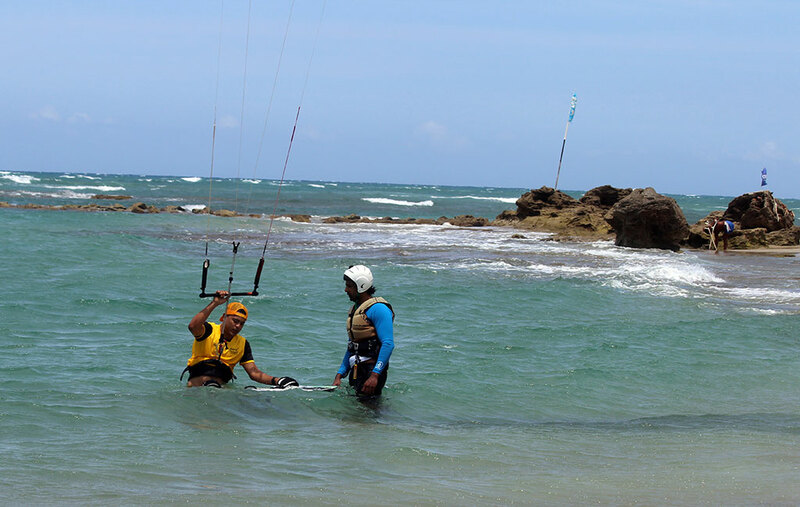 If you want to add Radio Helmet communication the instructor will give you feedback, observing mistakes and redirect you in real time how to correct kite position and everything else. As a result, you learn faster and more efficient. 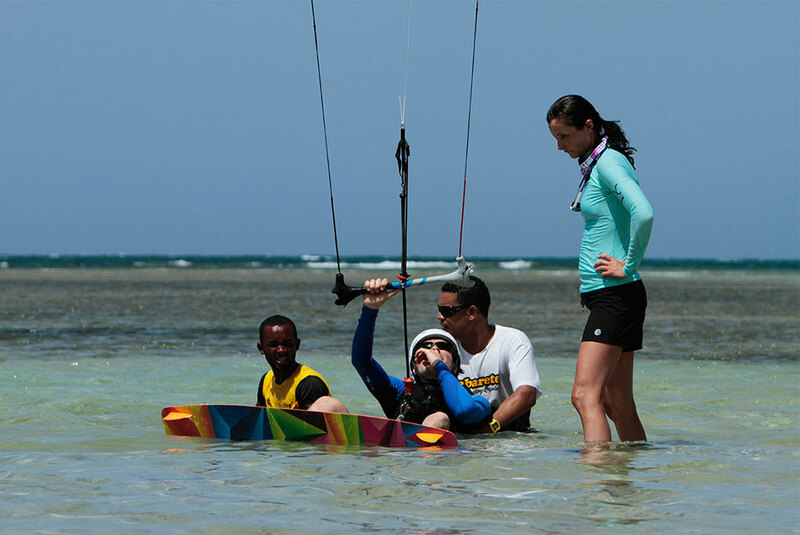 By using the radio in the water, our students gain higher success rate getting on the board riding than students who does not. I have windsurfed for years; will that make me a better kitesurfer? 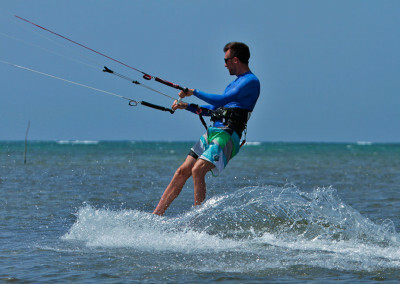 Kiteboarding is not windsurfing (snowboarding/ wakeboarding/ etc). 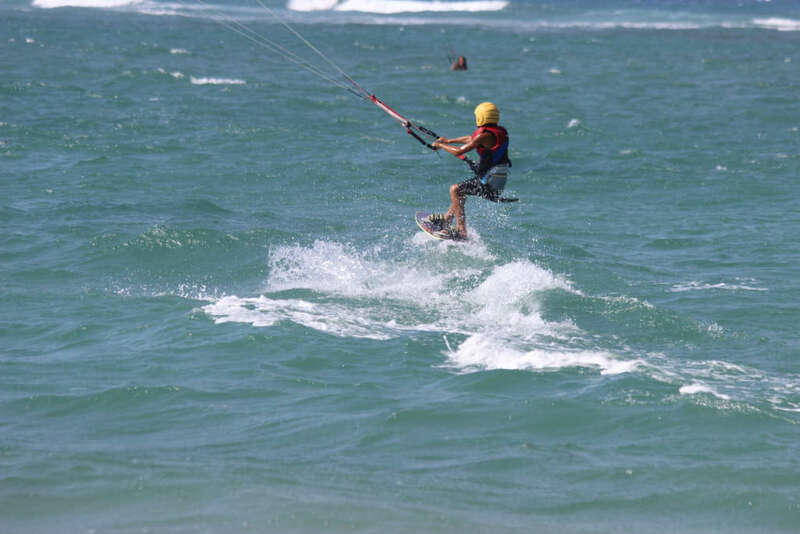 Although these sports have similarities to that will carry over, the same determination that was required to master these sports will also be required to learn kiteboarding. 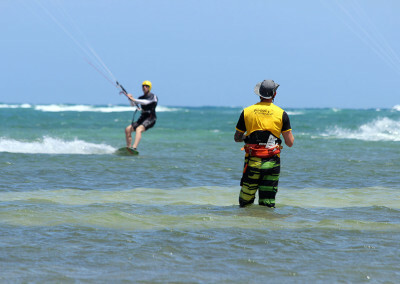 Of course, having years of windsurfing (and similar) experience will help — the water is the same, the wind is the same, lots of jargon an concepts are the same, but the equipment is different and the techniques used to ride the equipment are different. 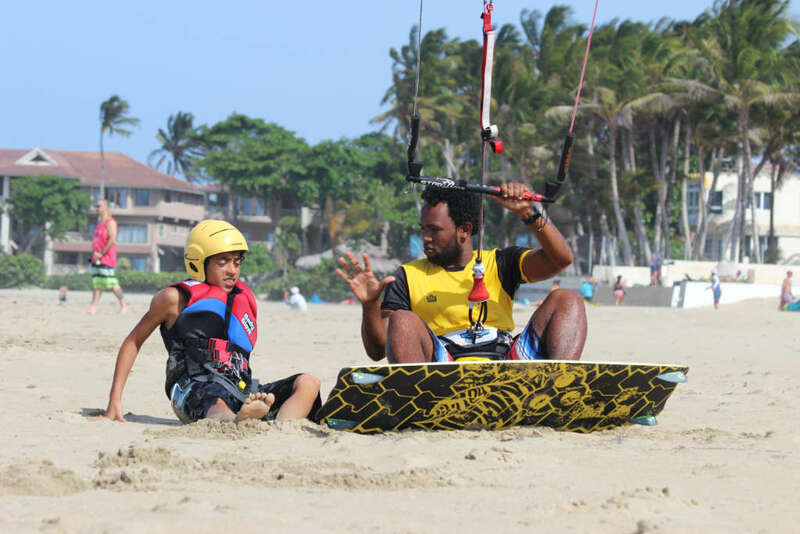 The instructors will take into consideration the previous experiences of the student and focus on the things they don’t know (“the differences.”) If the student has an open mind they will learn very quickly. If they are resistant to new ideas or wont let go of their ego, they will be in for a rude awakening, or at best a very frustrating experience. 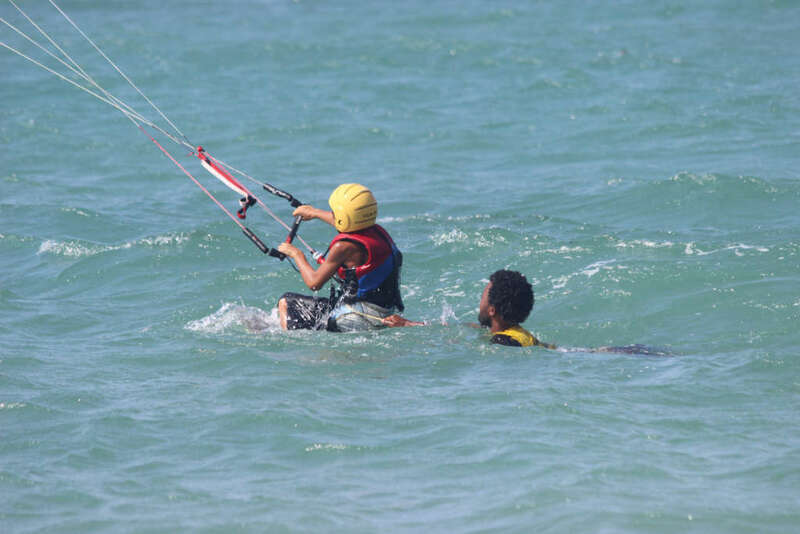 When should I take lessons? 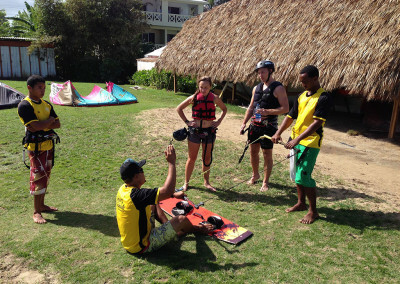 Take a lesson before, during and after you purchase your equipment. 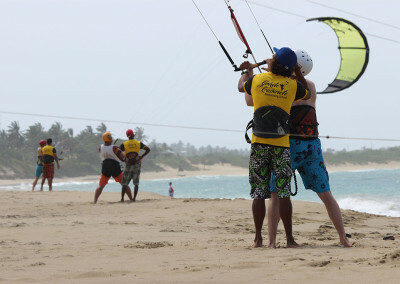 Take a lesson to see if you like the sport. Doing a single day lesson will give you a taste of what is to come. Most people will know right away if it is right for them. 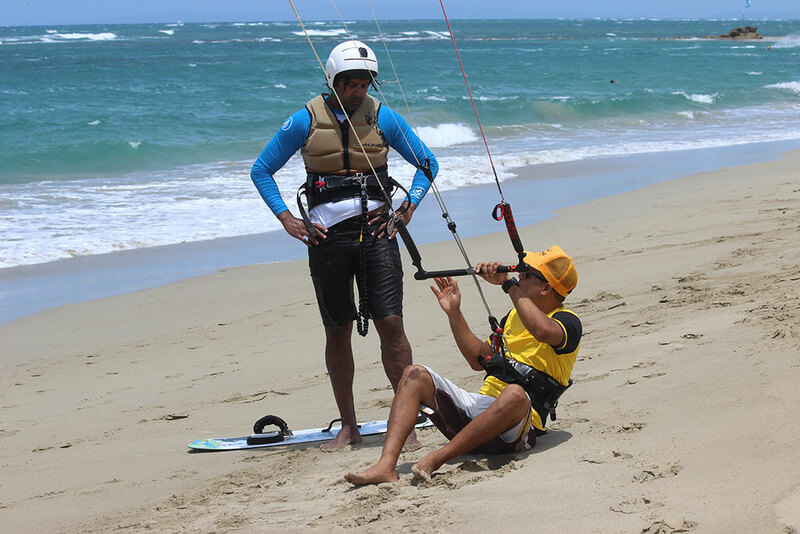 Be sure to tell the instructor that you are just trying the sport out. They usually have a “discovery”-type program that is light on the technical jargon, but gives you an overview and hands on experience. 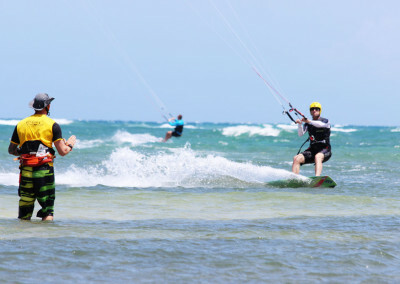 If you like the sport you should sign up for a complete course usually up to 3 to 5 more days, which would get you ready to purchase you own gear. 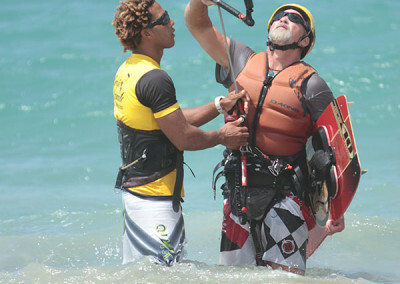 Always ask your instructor what gear they recommend. 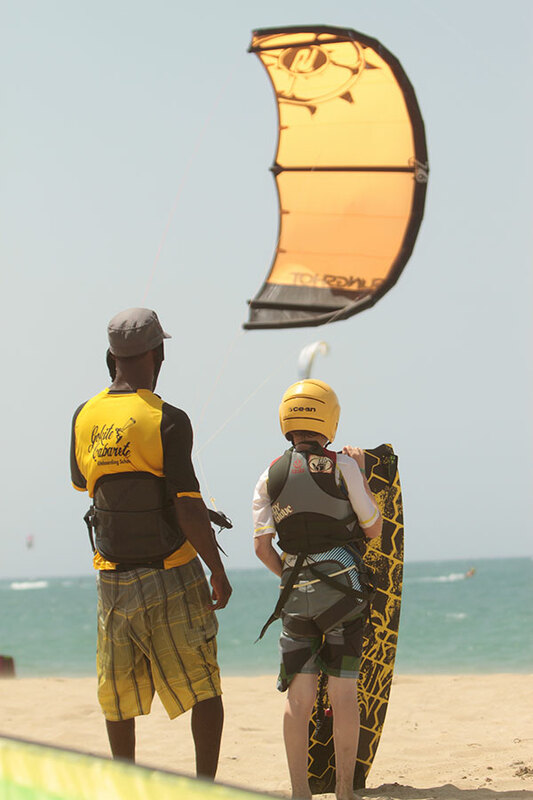 After purchasing your equipment take it back to your instructor and do another lesson on your own gear. New gear needs setting up and adjusting. 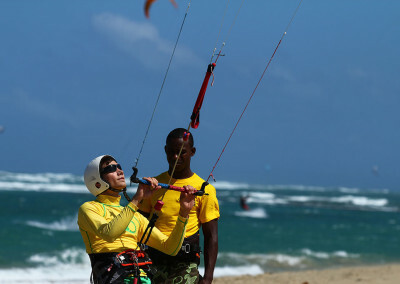 You instructor will also make sure that you know how to use your new gear correctly. 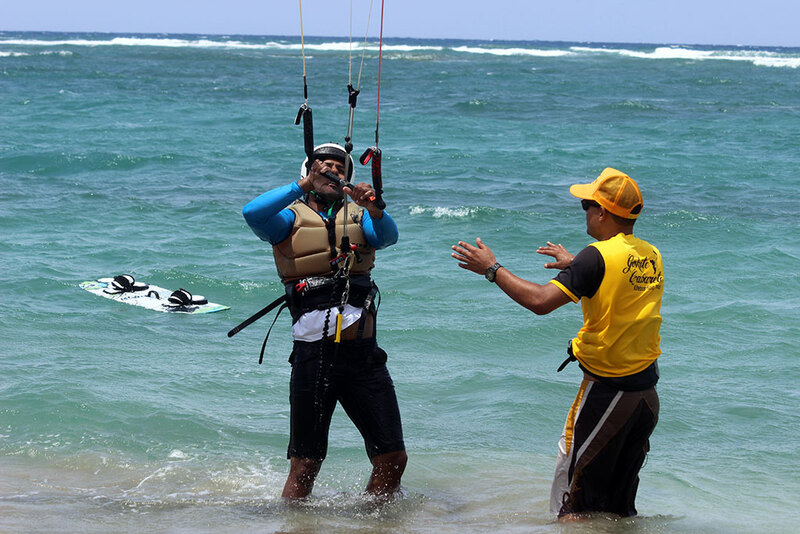 Once you turn Pro, don’t forget your instructors, and send your friends to them as a way of saying “thank you” for getting you into this great sport. 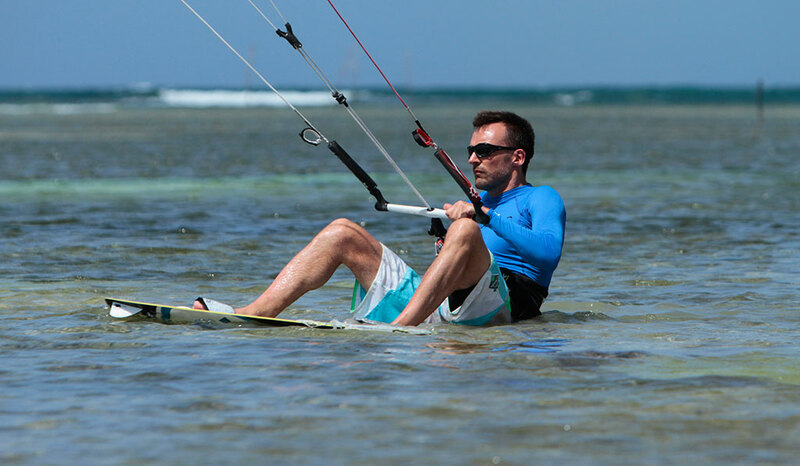 Can I learn kiteboarding by watching videos? Definitely not! (but they can help). 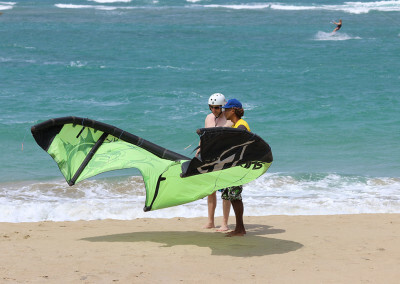 There have been instructional videos available for as long as there have been kiteboards. And like the equipment the videos too get dated, old and superseded. 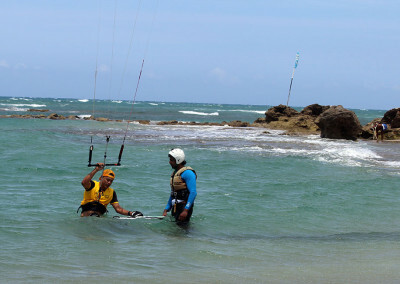 Watching a few videos before your first lesson will help you to visualize the overall process. Only very few videos or DVD’s will have up to date techniques that will stand up to the latest equipment. That is why a lesson with a live instructor is so important. 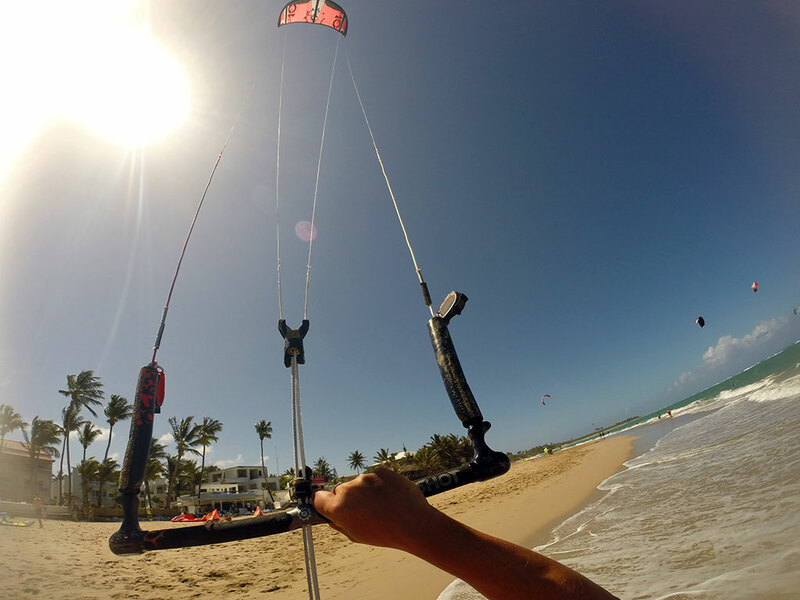 Kiteboarding is safer than ever! 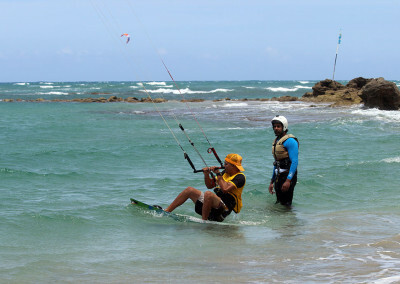 Since the invention of the sport there has been a lot of attention paid to kite safety, so all kites nowadays come with safety systems as standard equipment that allow the rider to release the power and kite leashes — and every kitesurfing course includes safety training, to make this sport as safe as possible. 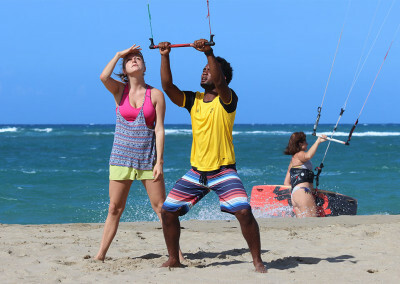 In addition, the newest kites that have become available in the last few years have the ability to de-power 100% at any time. This has made the sport much safer than at any other time in its history. As a rule of thumb, keep two things in mind, always use the latest gear that is in good condition, and make sure you get professional instruction, that includes the proper use of the safety systems. How much does the gear cost? 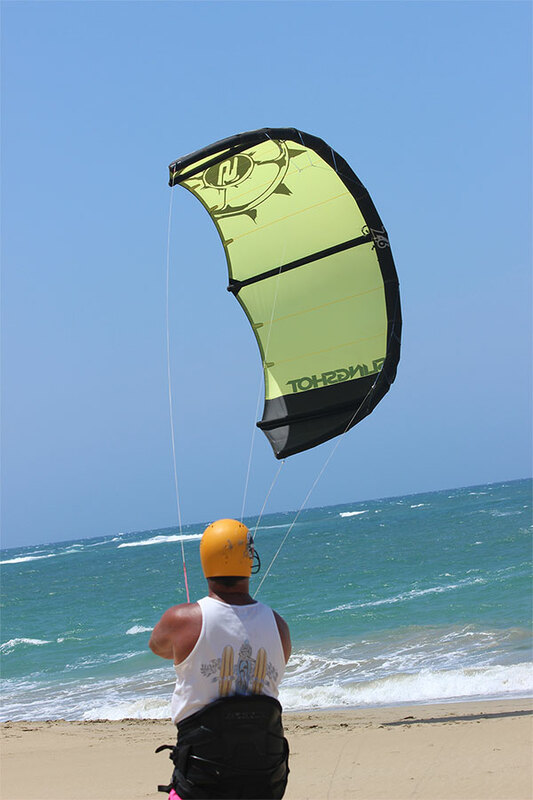 Kiteboard equipment cost less to buy than windsurfing equipment. 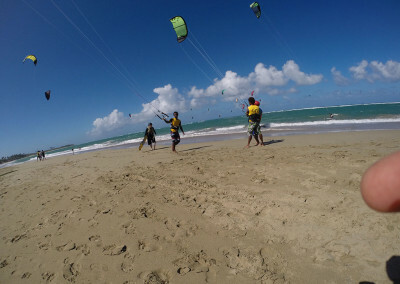 Kites complete with the bar and lines cost about 950 to $1600 each, depending on their size. 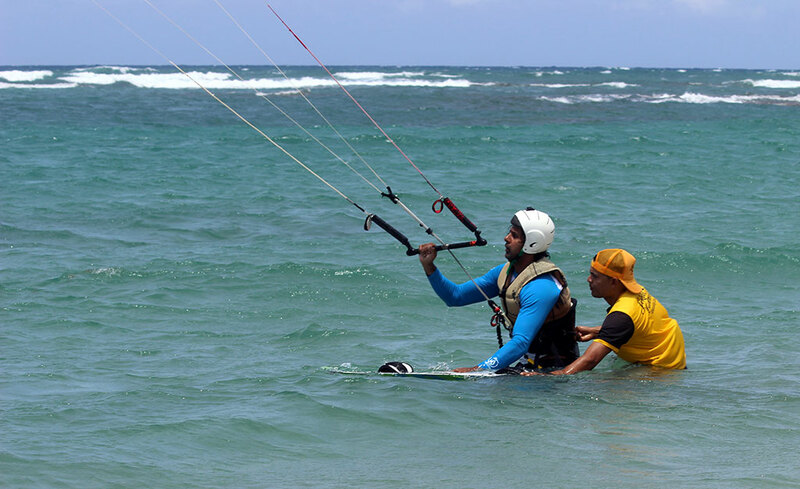 Boards cost from $600 to 900, but you’ll need a harness and jacket for another $150. Total is around $2,000 – $3,000.00 for a new equipment. However, now there are many great deals on previous year’s new equipment; or, packages that come complete for under $1500.00. 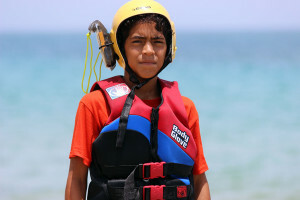 And of course, there is also lots of used gear available, of all conditions an ages. 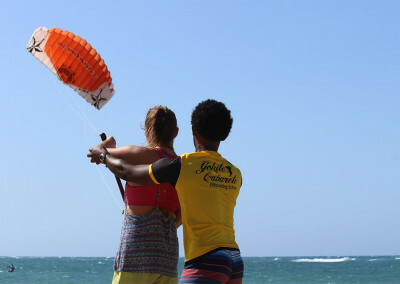 For example, current year’s used kite may be 30-40% less than a new one. And a complete used setup, a year-or-two old, may be as low as $600 – $1000. Beware when buying gear more than 3 years old. Never buy kites from before 2009. You can kiteboard anywhere that you see windsurfers. 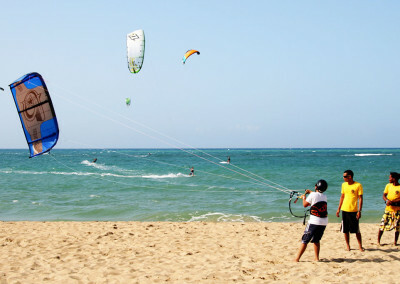 Kites like medium to strong wind, 10-25 miles per hour, and shallow water a few feet deep (sandy bottom). 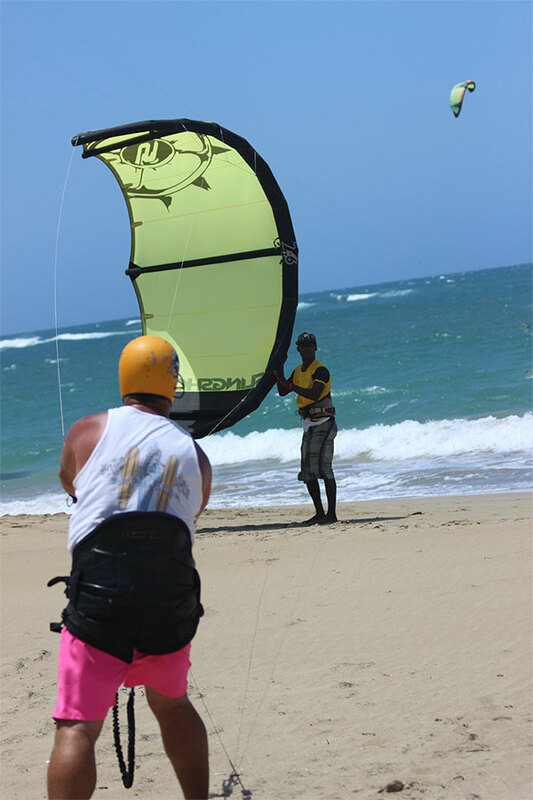 Generally, kiteboarders will like the same wind and weather as windsurfers. 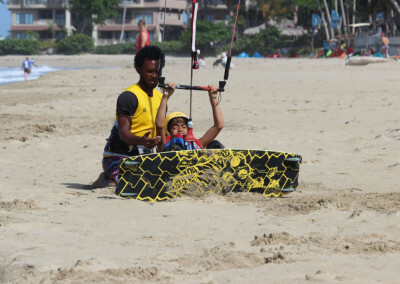 Kites are also going on the ice and snow, and on land buggies and dirt surfers. 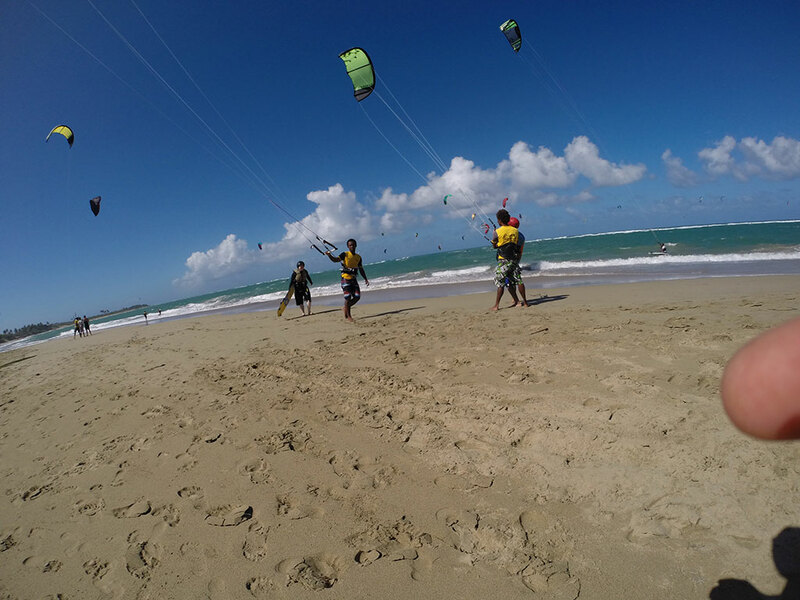 Cabarete is a small, laid-back Caribbean beach village located only 20 minutes away from the Puerto Plata International Airport on the northern shore of the Dominican Republic, and is a perfect tropical vacation spot. 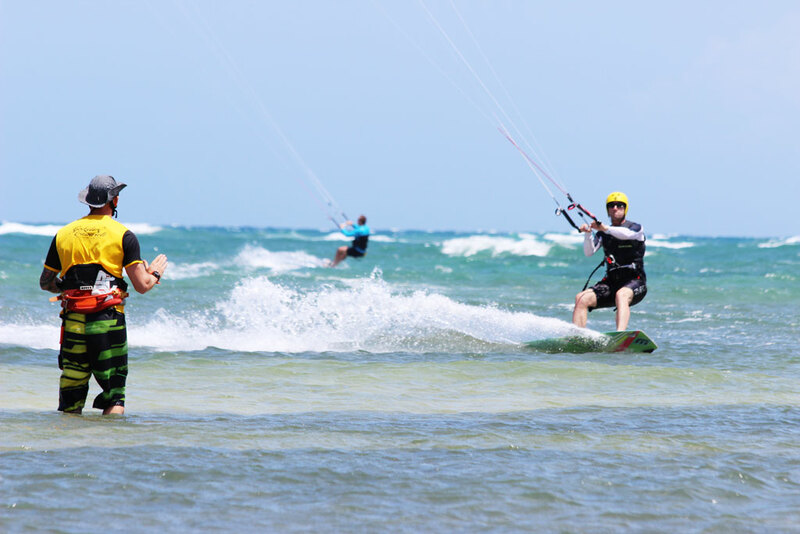 With its charming, hip ambience and a combination of relaxed and adventurous lifestyles, most visitors can barely resist the spontaneous temptation of extending their stay and just hang around the place for another while. The perfect blend of the surrounding physical elements of nature such as the location of the offshore reef at the entrance of the bay, the direction from which the trade winds usually blow, and the low-lying hills behind the village, which cause a unique thermal effect, form a beautiful layout. 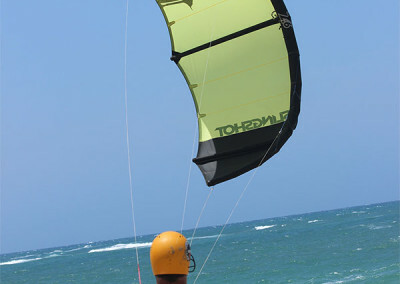 They create an unusual synthesis of outstanding wind and wave conditions. 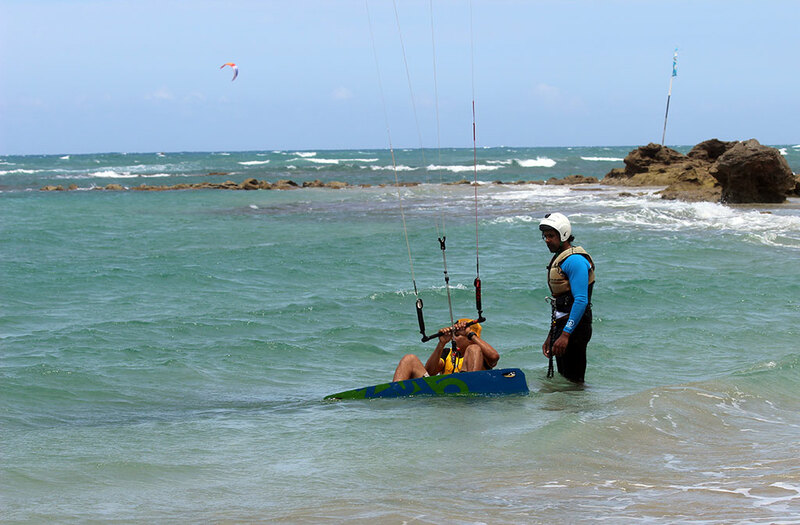 These make Cabarete an exceptional location not only for water-sports such as kiteboarding and windsurfing but for regular surfing at El Encuentro beach as well. 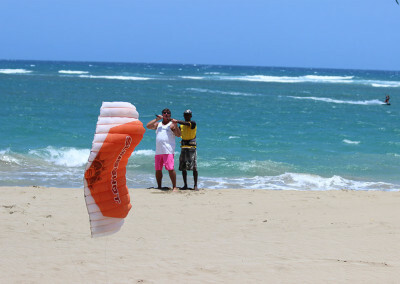 Cabarete is also the perfect place to just lay back to work on that perfect tan. 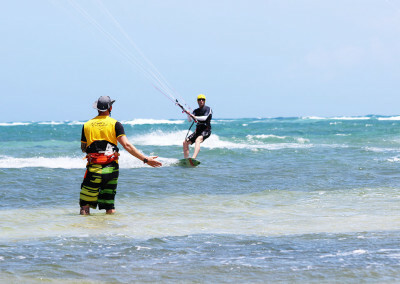 It’s the best thing to do when you’re not out gliding over warm Caribbean waters, or participating in some other fun adventure sports such as mountain biking, scuba diving, horseback riding or canoeing. 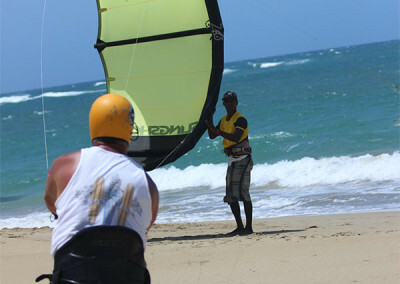 The beachfront also hosts several restaurants, which serve diverse menus. Tasty dishes of both local and international cuisine are available at very reasonable prices. 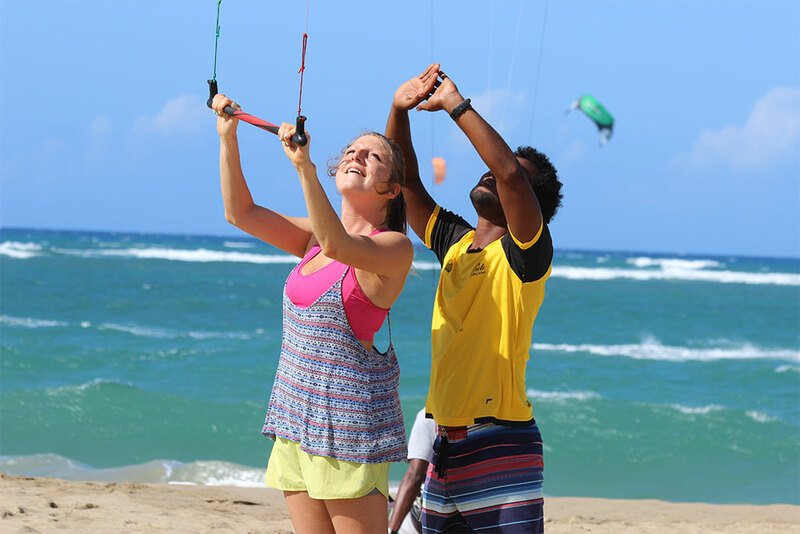 Diners can choose from a wide selection of dishes, including fresh, delicious seafood such as dorado, lobster or shrimp, or – for a change of pace – the Dominican specialty of Creole chicken with rice and beans. 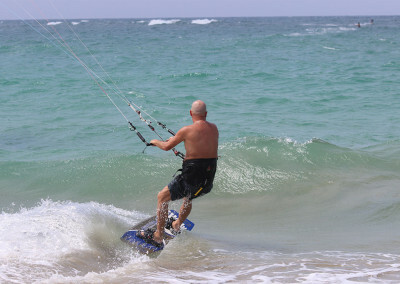 Many young-at-heart vacationers play hard at night in Cabarete, partying late until the wee hours of morning. Most beach bars are really cool places to just hang around and put down a few Cuba Libres before hitting the sack, since the locally brewed rums are quite high quality. Those with lots of energy who want to swing the night away to the dynamic sounds of Latino-flavored and local music should never forget that this is the land of Merengue. The dance floor is always jam-packed, especially just after midnight, with both locals and visitors showing off their stuff or just learning how to master the steps of both Merengue and the occasional Bachata or Salsa. 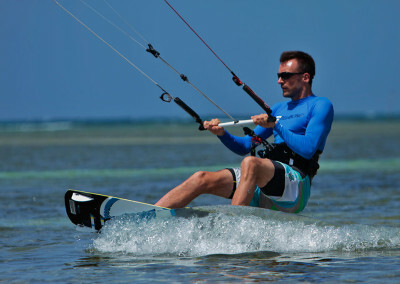 Is learning kiteboarding easier than windsurfing? Learning to kiteboarding is “faster” than learning to windsurf. We like to say that the kiteboarding learning curve is steeper than the windsurfing learning curve — you will learn more in a shorter time. 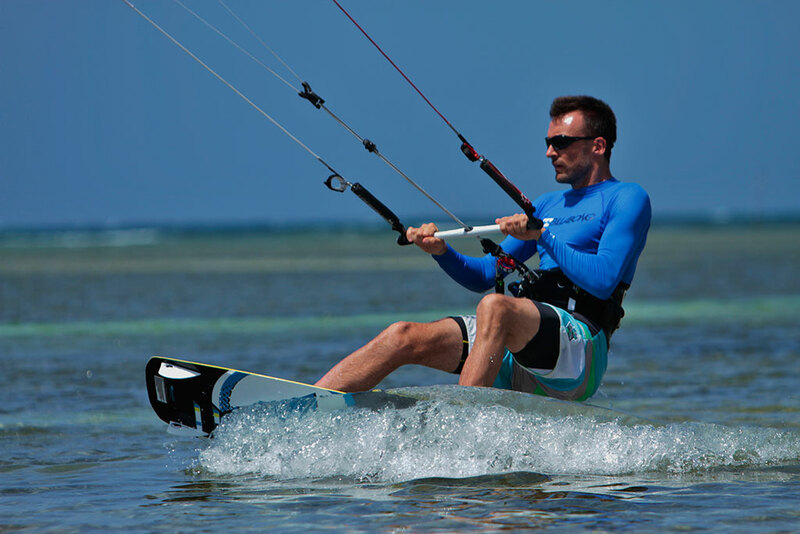 In windsurfing there are several stages of learning, the longboard stage, then the shortboard stage, that requires a waterstart lesson and advanced sail skills. You will begin to learn the harness and footstraps after about one or two months or so. 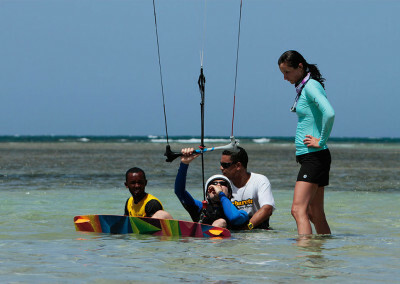 In kiteboarding you will learn the kite flying, harness and footstraps and waterstart in the first few days. There is only one stage, and the basic skills to master. 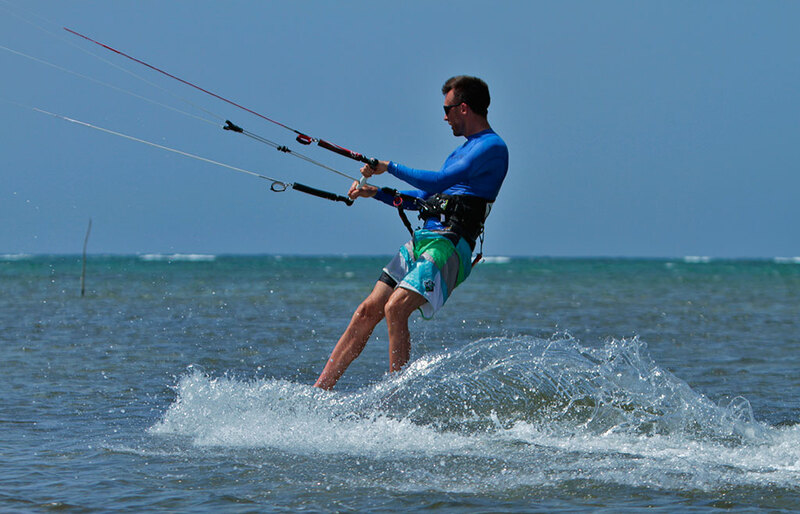 The basic kiteboarding skills can be learned in a week or two and most people will be upwind riding in 6 to 8 weeks. 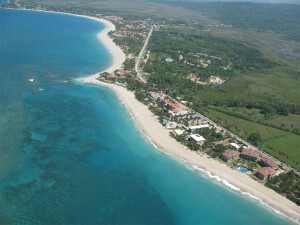 How many days should I plan on staying there to have a good experience and take it on by myself? 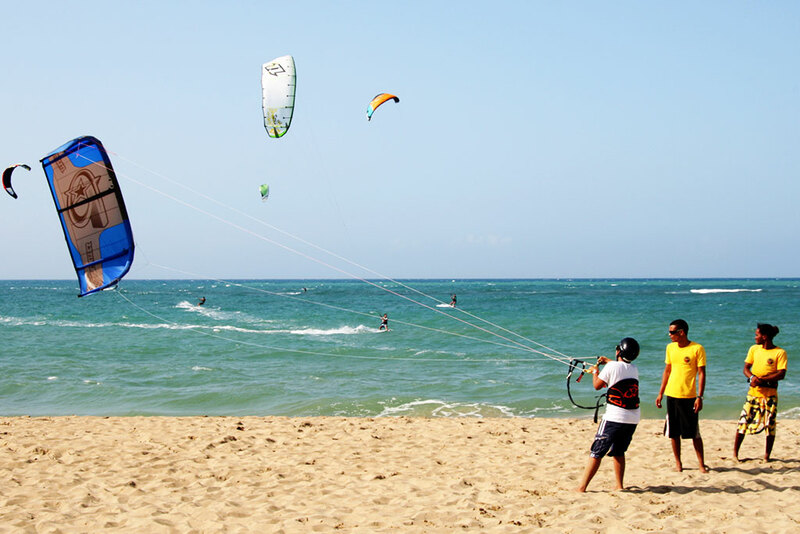 You should plan to stay for a week; if the wind is good, a week will be enough time for you to be able to to ride kite by yourself. 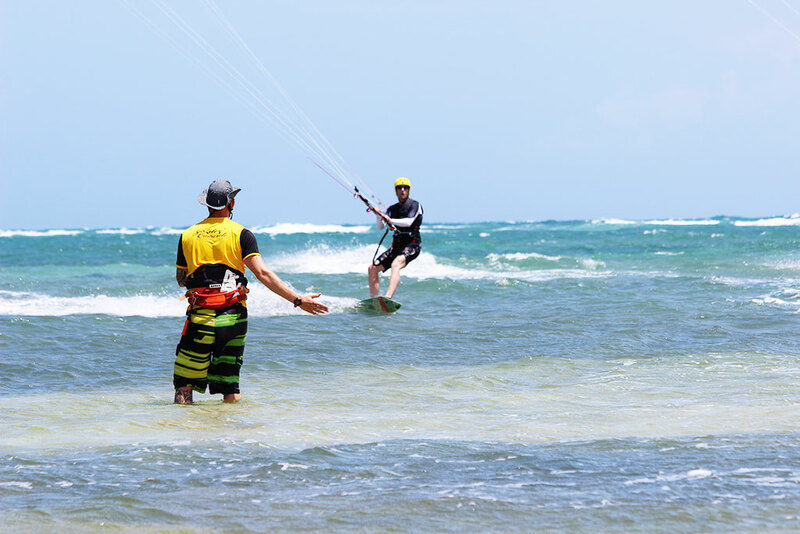 All our packages are very efficient to learn how to kite board, but with Intensive and VIP packages once you are done with your 7 or 10 hours of lessons, you will be able to go and practice as much as you want using all our kiteboarding material and one assistant. 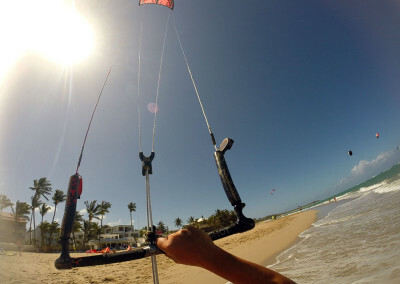 After a week you will go back home being a kiteboarder.